The Trustees of The Stephen Carey Fund have made the decision this week to suspend any new applications for defibrillators until further notice. The charity are currently managing 76 defibrillators across the county and are liaising with various communities and organisations that would potentially see this figure increase to over 100, assuming all projects in discussion come to fruition. Trustee David Wilson stated “76 defibrillators in just over three years sees our yearly average at circa 25 cabinets and whilst we are only at the end of the second month, in our fourth year, we are already involved with various groups for 27 further potential placements”. “We previously suspended applications in December 2015 to catch up on projects and to give the team a little respite over Christmas and that certainly helped both recharge the batteries and structure the early installations for 2016”. The charity will now spend the next few months completing some of the more advanced projects whilst also following up some of the discussions which have ‘gone cold’ over recent weeks. This will help them identify how many projects they may be able to consider for the latter half of 2016. The Trustees have also begun the process of implementing a software package which will provide them with a more robust and time efficient system to manage all of the deployed assets across the county. Chairman Scott McEwan summarised “We have been successful far beyond any conceived targets and we feel that our immediate priority is to conclude ongoing projects with a good quality of service and set out a plan for the remainder of the year, and indeed into subsequent years”. In the interim should you be interested in acquiring a defibrillator for your community please complete the form on our contact page – we will acknowledge receipt by email only and then log your details for future contact, we regret at this time we will not entertain discussions relating to costs, viability and timing of any new projects until a further announcement is made on this website and circulated via the respective social media channels. Members of Ellingham Parish Council and residents of Chathill present a cheque from a recent coffee morning to Bryan Shendon of The Stephen Carey Fund. Ellingham Parish Council has adopted the decommissioned phone box at Chathill and has plans to install a defibrillator in association with The Stephen Carey Fund. The Ellingham Community Trust agreed a deal in 2015 to provide a donation £1,250 which will be matched by The Stephen Carey Fund. This will be the second defibrillator for the parish – the other being at Ellingham Village Hall. The story of Cole Taylor, the seven year old who survived a cardiac arrest with the aid of his brother and father and who has since gone on to have an implanted defibrillator hit the headlines in 2015. Cole is a member of Cramlington Juniors Football Club and has received amazing support and encouragement from his teammates and the coaches and we were delighted to be able to present to them a number of first aid kits to help keep grassroots football safe. Members of Oasis Health Club in Ashington were presented with a defibrillator after a successful fundraising campaign during 2015. The Stephen Carey Fund were invited to attend the September meeting of the Rothbury WI to provide the group with some refresher training following the fundraising and installation of many defibrillators during 2014. 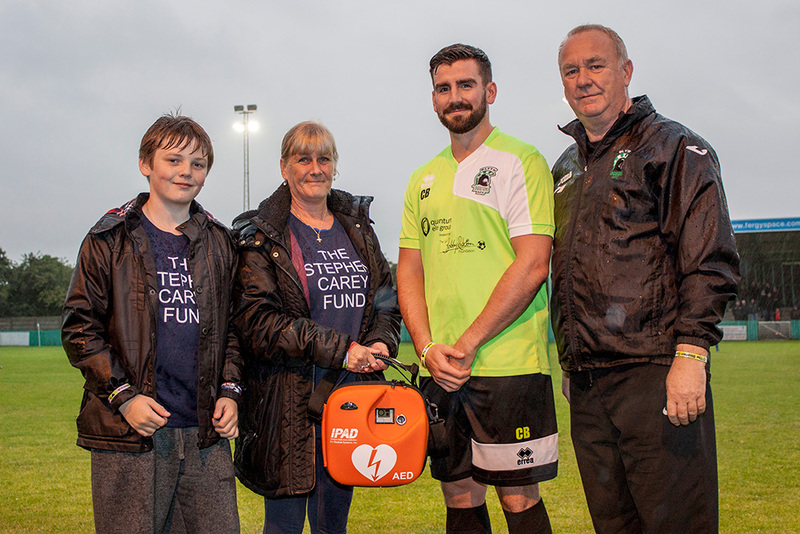 Joy Bowman and her son James presented Blyth Spartans AFC with a defibrillator prior to the first home fixture of the season against Whitby Town FC on behalf of The Stephen Carey Fund, a charity set up in memory of her son Stephen who tragically collapsed on a football pitch in July 2012. Students and staff of Ponteland Community Middle School along with members of the local community receive a defibrillator from Bryan Shendon of The Stephen Carey Fund. Students, staff and members of the local community were all in attendance at a specifically organised awareness session held at Ponteland Middle School to learn emergency life saving skills. 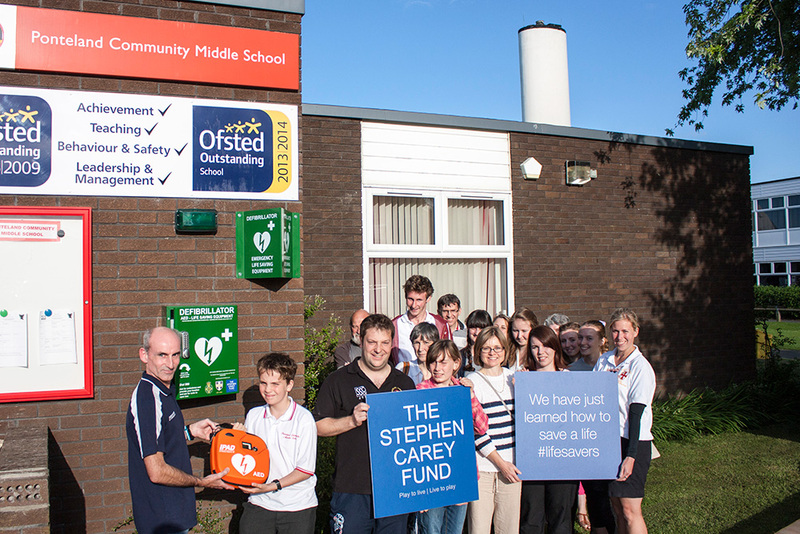 The training provided by Bryan Shendon and David Wilson, trustees of The Stephen Carey Fund, followed the acquisition and installation of a Public Access Defibrillator at the school which shares its site with the high school adjacent. 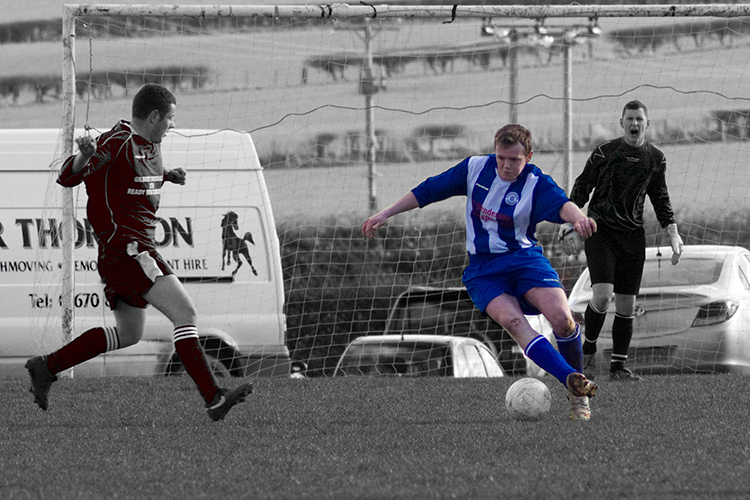 Today marks the third anniversary of the tragic death of Stephen Carey. Today is a time for family and friends to reflect on the time they spent with Stephen and also how he has been remembered. 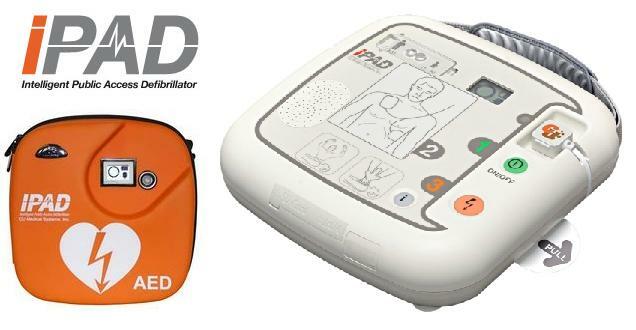 We have learned this week that one our Public Access Defibrillators was deployed and used, providing two shocks to an individual who had collapsed. 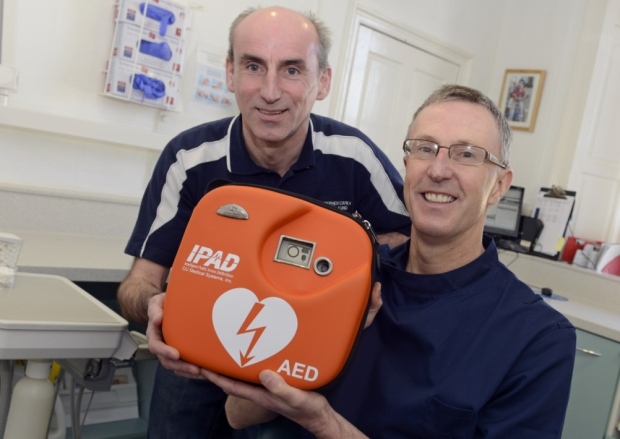 A dental practice in Alnwick has acquired a defibrillator via The Stephen Carey Fund. Scott Williamson of Market Street Dental Practice located within the centre of Alnwick explained “we knew about defibrillators and also of the work carried out by The Stephen Carey Fund so when we decided that we wanted to obtain one of the devices it made sense to contact them”.